DES MOINES — Iowa Lottery officials believe in second chances — at least for winning prize money that went unclaimed. No one came forward to claim the prize by last week’s deadline. So lottery officials announced plans Monday for a spring promotion aimed at giving away the prize. They believe it’s the first time a $1 million prize went unclaimed in the lottery’s 34-year history. From May 29 through June 18 Iowa Lottery players will be able to enter a promotion called the “Woo Hoo A Million For You Giveaway” for a chance to win the prize. 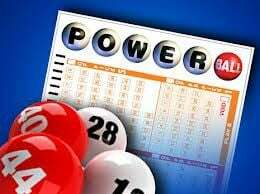 The $1 million ticket was sold for the drawing April 11, 2018, purchased at Casey’s, 1800 S. B Ave., in Nevada. It came close to winning that night’s $89.7 million jackpot, matching the first five numbers but missing the Powerball. The winning numbers that night were: 16-18-27-55-67 and Powerball 18. The winner or winners had until 4 p.m. Thursday to claim the $prize at lottery headquarters in Clive. Casey’s received a $1,000 bonus for selling the ticket. Players in Iowa have up to 365 days from the date of the drawing to claim prizes in Powerball, Mega Millions, Lucky for Life and Lotto America.